February 8, 2019 Author by index.Posted in Uncategorized. Newcastle fans have waited a decade for the club to break its transfer record and the signing of Miguel Almiron from Atlanta appears to be a well thought out transfer by coach Rafa Benitez. The Spaniard had been frustrated with the lack of transfer activity in the club since their promotion in 2017 and would be delighted to have signed a player that fits his tactics. Almiron is the perfect fit in the middle of the park for Benitez as he can operate as an out an out No. 10 and has the defensive discipline to track back when needed. The 24-year-old also has an eye for goal which is a massive boost for the club who looked increasingly reliant on Salomon Rondon for goals. Almiron’s arrival also allows Benitez to tweak his favourite tactic against the top teams the 5-4-1 formation. The Paraguay international is capable of playing on both flanks and can also be used in the Ayoze Perez position as a supporting striker to Rondon. His pace, creativity and goalscoring threat makes Almiron a real threat going forward and the club has lacked this type of creative player for a long time. Newcastle are the second lowest scorers in the Premier League and despite their recent form sit only 2 points above the relegation zone. Almiron during his time at Atlanta United scored 13 goals as well as creating a further 11 and if he can replicate this form in England Newcastle are most likely to escape relegation. A major problem for the 24-year-old would be how he would adapt to the fast-paced Premier League. 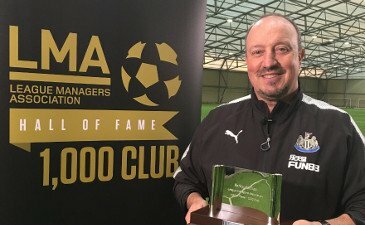 Benitez is a vastly experienced coach and it would be interesting to watch how he would utilize the highly talented midfielder in the coming games. However, Newcastle fans can be happy that the club has brought in a player that can make a big difference for the club.